Luzhniki Stadium, initially called Central Lenin Stadium, was built between 1955 and 1956. 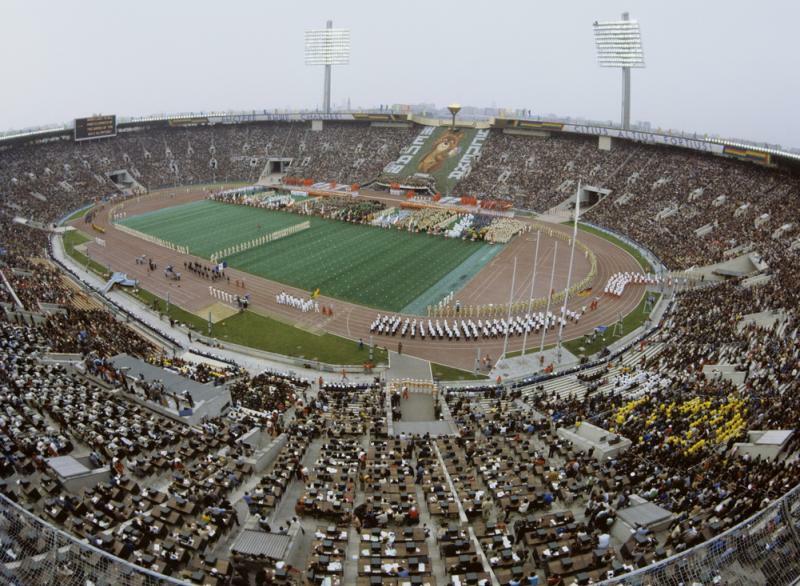 It was the result of the ambition of the Soviet leadership to upgrade the country’s sports facilities after the Soviet Union had tasted its first post-war successes at the 1952 Olympics. Works on Luzhniki Olympic Complex started in 1954 and construction of its centrepiece stadium, also called the Grand Sports Arena, in 1955. The stadium got finished in just 450 days and officially opened on 31 July 1956. Luzhniki Stadium served as the centrepiece stadium of the 1980 Olympics, hosting the opening and closing ceremonies, athletics events, football finals, and equestrian programme. In 1982, a stadium disaster took place at the stadium during a second round UEFA Cup match between FC Spartak and Dutch side HFC Haarlem. In the dying seconds of the match, people started rushing for the exits to make it to the metro before the rest of the crowd. When someone fell on the icy staircases, chaos ensued, and the resulting crush and domino effect killed 66 people. Until the 1990s, the roofless stadium could hold just over 100,000 spectators. In 1996, the stadium got extensively renovated, which included the construction of a roof over the stands and the refurbishment of the seating areas, which resulted in a decrease of capacity. In 1999, Luzhniki Stadium hosted the UEFA Cup final between Parma and Marseille (3-0), and in 2008 the Champions League final between Manchester United and Chelsea (1-1). The stadium was regularly used by Spartak Moscow, lacking a home of their own, until they moved to the newly built Otkritie Arena in 2014. 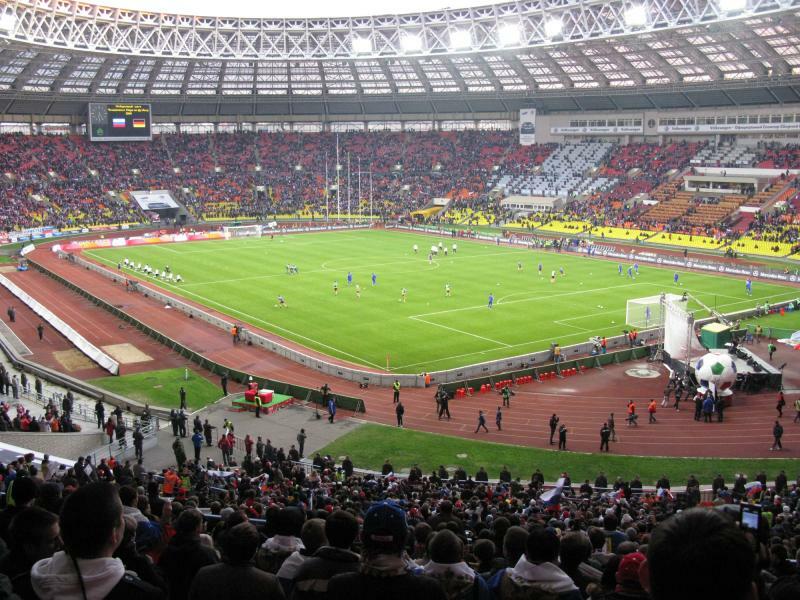 When Russia got awarded the 2018 World Cup, it was soon clear that Luzhniki Stadium would host the final and as a result had to undergo a large redevelopment. It hosted its last football match in May 2013 and closed following the IAAF Athletics World Championships in August 2013. Redevelopment works entailed the complete reconstruction of the stands, adding a second tier, the removal of the running tracks, and an expanded roof structure. The characteristic exterior of the stadium was left intact. 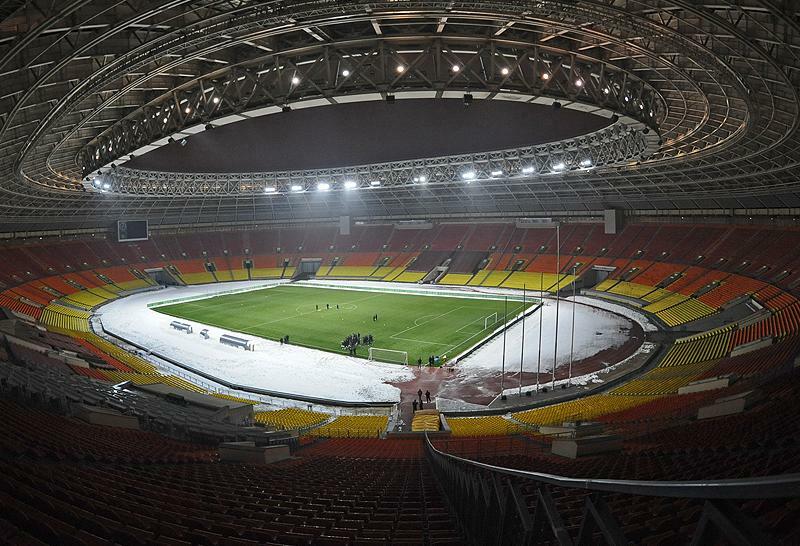 Works were completed in the summer of 2017, and the first football match at the reopened stadium, a friendly between Russia and Argentina (0-1), was played on 11 November 2017. 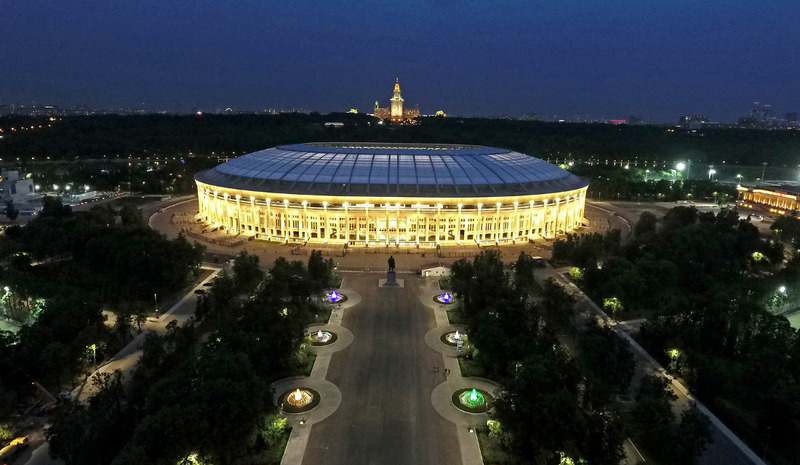 Apart from the final, Luzhniki will also host the opening match, three further first round group matches, a round of 16 match, and a semi-final. 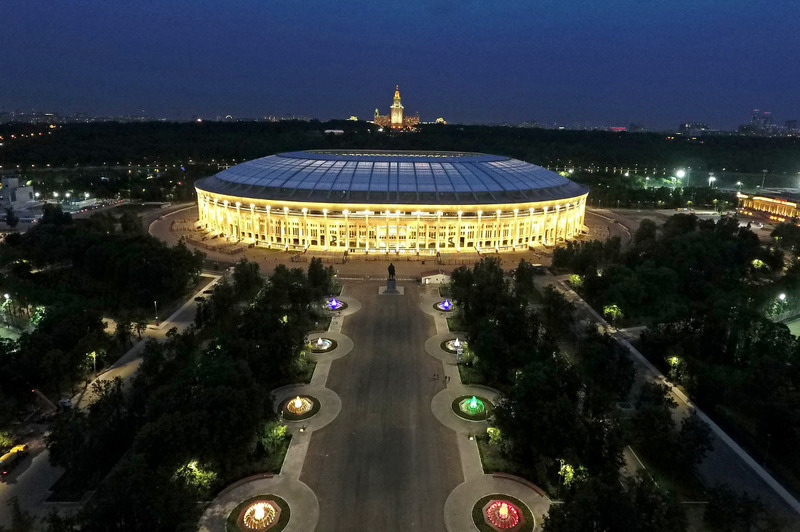 Luzhniki Stadium is located on the Luzhniki Sports Complex, an area of sports facilities and park land in a bend of the Moskva River about 6 kilometres south-west of Moscow’s city centre. 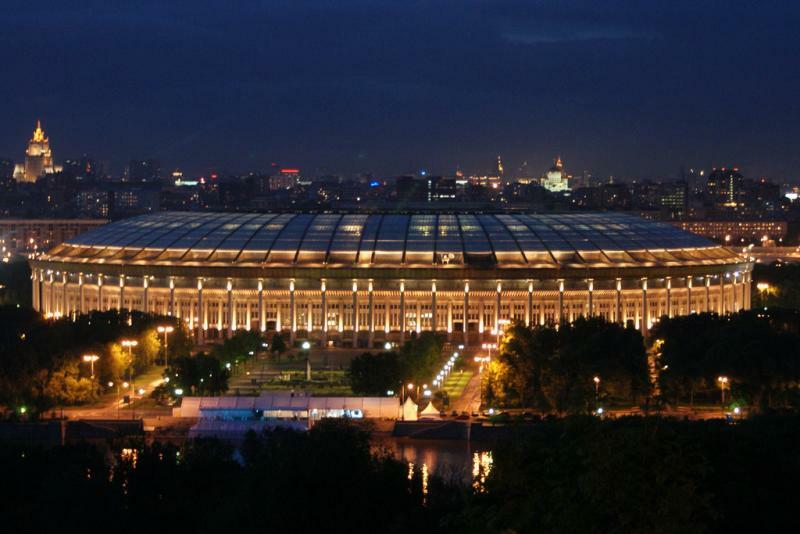 Luzhniki forms part of the Luzhniki Sports Complex and is surrounded by other sports facilities and parks. Its location right on the river Moskva is pleasant on a summer’s day, but there is little around in terms of eating and drinking, which can therefore better be done in central Moscow. If you’re into a bit of culture though, the nearby Novodevichy Convent is well worth a visit, while the Moscow State University building on the opposite side of the Moskva river is one of Moscow’s best-known landmarks. There are a few hotels to choose from if you want to stay close to Luzhniki Stadium, most near Sportivnaya metro station, e.g. Yunost Hotel, Business Hotel Spektr, Olimp Hotel and Blues Hotel. Click here for all hotels near Luzhniki Stadium, and here for an overview of hotels in central Moscow. Spartak.com – Official website of FC Spartak Moscow. Mosmetro.ru – Official site of the Moscow metro.